Rocky Mountain Decor offers a wide selection of rustic, hand-crafted wood furnishings, including home theater pieces. There are a variety of rustic themes in home decorating, and Rocky Mountain Decor takes this into consideration. 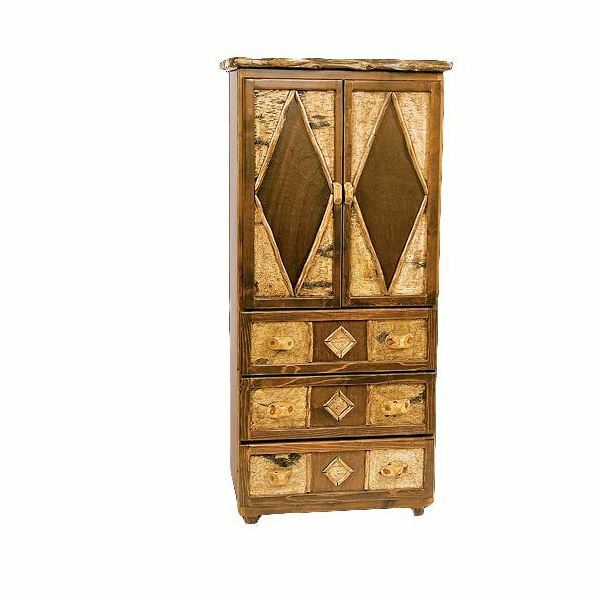 For example, the Adirondack Three-Drawer Armoire looks as though it might belong in a charming lodge. The three drawers are ideal for storing DVD’s, CD’s and remote controls, while the cabinets will hold a medium-sized television. Crafted from hand-peeled Northern White Cedar and embellished with hand-stained birch bark and twigs, this piece will likely become a family heirloom.